WASHINGTON, D.C. -- U.S. Sen. Lisa Murkowski, R-Alaska, introduces two pieces of legislation aimed at increasing the production of electricity from renewable hydropower and creating jobs in America’s energy sector. For more information, click here. SAN ANOTONIO, TEXAS -- Prospects for the hydro, wave and tidal power market are good as countries are investing in renewable energy sources to augment energy security, recent analysis suggests. Video: An interview with Ed Alkiewicz, New York Power Authority. 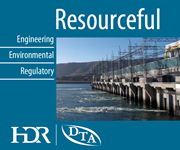 TULSA, Okla. -- A briefing addressing important issues related to hydropower and greenhouse gas emissions is among the events offered in advance of the upcoming HydroVision International Conference and Exhibition in North Carolina. Speakers for the briefing represent several facets of the hydropower industry. PANAMA CITY, Panama -- AES's 223-MW Changuinola I hydro plant in Panama is set to begin commercial operations in the first half of next year, wire services report. For more information, click here. MOSCOW, Russia -- Twenty-four small hydropower plants could be built in Russia's Chelyabinsk Region by 2020, the press office of the regional economic development ministry reports. A plant operated by E.ON Wasserkraft in Germany will be the first in the world to commercially apply high-temperature superconductor materials to the hydropower sector. MOBILE, Ala. -- The U.S. Army Corps of Engineers awards a Kentucky firm a contract to supply gas breakers for two hydroelectric projects, with an option to supply three other hydro projects, all in Alabama and Georgia. For more information, click here. Frost-resistant concrete used to develop the 400-kW Kislaya Guba tidal project in Russia has operated without damage for more than 40 years. 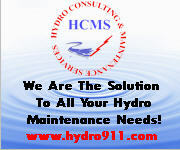 Beyond this free newsletter, PennWell offers a Premium Content hydro news subscription. HydroWorld Premium Content offers top-level regulatory news, hydro industry tenders and notices, a database of project filings from the U.S. Federal Energy Regulatory Commission and the HydroWorld Weekly Premium Content newsletter, which highlights new content and provides links to full stories and data on HydroWorld.com. For more information, click here.